The Linda S. Cordell fellowship will allow Gaby to undertake research of pre-Hispanic Andean textiles at the Peabody Institute of Archaeology during Summer 2018. 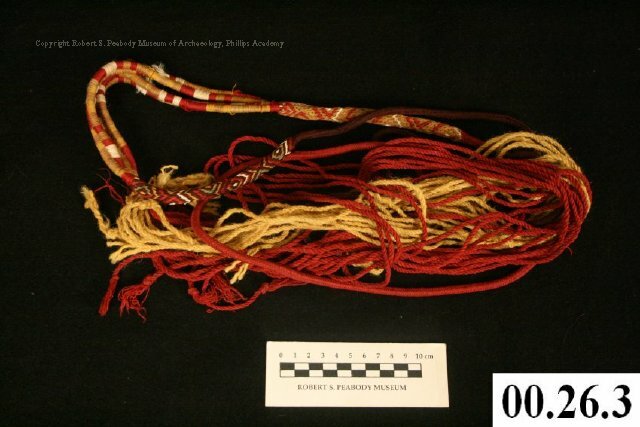 Her research at the museum will focus on select aspects of indigenous Andean textiles, such as fringe- and edge-work of woven garments and other objects such as slings and coca bags. This research will contribute to part of her dissertation, examining how textile details correspond to broader social and cultural aspects.